19 March 2016 – One thing we are certain of is that our future homestead will have goats. We’ve learned from first-hand experience they are easy to handle, provide daily milk, are social, and will work to help keep your property in order. I recently read the below article by Kathy Bernier of Off the Grid News reaffirming many of the things we’ve already come to know. Is This The Best Low-Cost, Low-Maintenance Livestock You Can Own? I cannot say enough good things about goats. They are economical, hardy, easy keepers, clean, and likeable. They are my favorite homestead animal, for many reasons. Read on to learn some great details about goats, and you might decide that they are your favorites, too. This is not to say that other livestock choices are without merit. There is much praise to be sung for a wide variety of animals, from rabbits to emus and everything in between, and for the reasons homesteaders prefer them. But around my homestead, goats are the greatest. People have kept goats for centuries, in societies including agrarian and nomadic, from sub-Saharan Africa to the high steppes of Tibet. 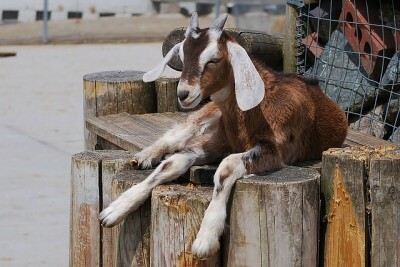 The multidimensional quality of goats is probably one of their most attractive features. The way they can be used to fulfill so many different needs is a factor that makes them not only an excellent animal to keep in ordinary times, but also to have on hand as insurance against future hard times. First, they make excellent dairy animals. 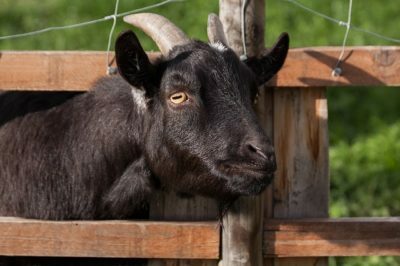 All goats can be milked, but some breeds have been specifically developed for this purpose. A good dairy breed, typically a medium-sized animal of European ancestry, produces between a half gallon and a gallon of milk a day. This is just the right amount for a homestead household, and will provide all a family needs for drinking, baking, and cheesemaking. Another advantage of milking goats is that they can often be “milked through,” which means that they continue lactating for a year or more, instead of for only a short season. Fewer pregnancies means less work and expense for farmers and less stress and risk for animals, and less dry time between lactations. When they do breed, however, goats tend to give birth easily and to be superb mothers. A cow often produces four or five times the volume of goats, which can be an overabundance and even a waste for some households. But that’s when she’s milking. Some cows are dry for up to half a year, every year, leaving the homesteader bouncing back and forth between way too much and none. Goats give a smaller supply of milk, with less fluctuation, over a longer time period. But I don’t like goat’s milk — I hear that pretty often, and I always get a chuckle. Goat’s milk doesn’t have to taste, well, goaty. I call myself the “goat’s milk redeemer,” because I love to encourage people who are sure they hate goat’s milk to give it just one tiny sip. I watch people grimace in trepidation as they slowly lift the cup to their lips and force themselves to allow a few drops in. Suddenly, relief sweeps across their face. “That tastes just like – like — milk!” they exclaim. Indeed it does. It’s important to remember that there are many variables that contribute to the taste of any milk. Different breeds, and even different individuals among breeds, can make a difference. Sanitation and milk temperature matter, as does time of the year, as well as the diet and estrus cycle and overall health of the goat. The proximity of an unneutered male goat also can have an effect on the taste of the milk. Goat’s milk is more agreeable for some human digestive systems, as well. Some who cannot tolerate cow’s milk can drink milk from a goat without side-effects or symptoms. Goat cheese is delicious, healthy, and easy to make, and the whey left over is wonderful nutrition for chickens and pigs. Another reason goats make excellent homestead animals is the meat. Some breeds have been developed with meat production in mind, but any goat can be used for food. Oh, I know. Many North Americans balk at the notion of eating goat. But did you know that most cultures consume goat meat, and it is in fact the most-eaten red meat in the world? Sometimes called chevon, goat is lower in fat, calories, and cholesterol than most of the other meats we eat. As with any animal used for meat, it is best processed at a young age and with limited testosterone to maintain a mild flavor — think lamb versus mutton, and broilers versus stewing chickens. Goats’ coats are useful, as well. Some breeds of goats produce fiber which can be harvested from a live animal, and goat skin can be used in lieu of lightweight leather for clothing and accessories. Goats can be trained to work as beasts of burden, too. They can carry packs and negotiate rough trails better than many larger but less sure-footed animals, and can pull a cart or wagon. Another important factor about goats is that they are exceptionally economical and easy keepers. 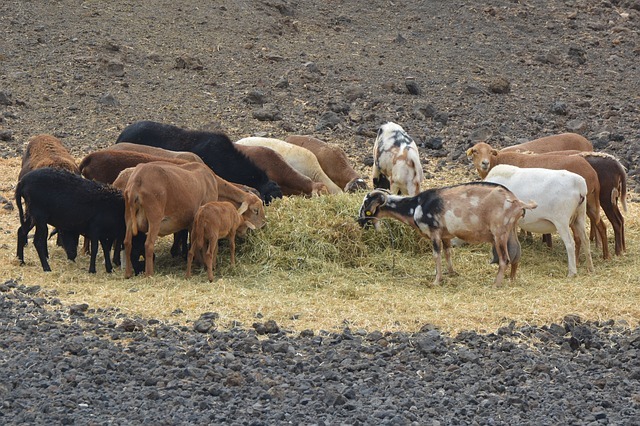 While many livestock species need high-quality pasture, goats prefer scrubby edge habitat and light forest. Goats will eat grass, but they are designed as “mid-level browsers,” meaning that their go-to is leaves and twigs from shrubs and low-hanging trees. Not only does their browsing reduce feed costs, but it helps with control of brush and weeds, including noxious plants such as poison ivy, which they eat without ill effects. They don’t need expensive hay, either, and often do better on coarse weedy choices. Grain and supplements are readily available and affordable, and treats are easy. Mine enjoy nibbling on softwood needles, helping dispose of garden scraps like carrot tops and discarded kale leaves, and keeping the maple and dogwood branches trimmed. Goats are not only inexpensive, but are low maintenance and easy to handle. No calling a farrier for hoof work or hiring a professional shearer for grooming — you can do them yourself. Many goat owners also give shots and administer worming treatments themselves. Goats are small enough to be manageable and are tough and resistant to maladies. They don’t require much in the way of shelter. In my northeastern location, they need an enclosed barn in winter and shelter from sun and inclement weather in summer. Depending on the breed and your particular geography, you might need more or less than that, but their needs are minimal. I have heard it said that goats are escape artists and that it is challenging to find a fence that will hold them, but that has not been my experience. A small pen of woven wire, wood planks, or cattle panels suffices in winter, and a large area of portable electric mesh provides them plenty of browse in summer. Goats are clean, too. Unlike some farm animals, the goats in my barn smell pleasant — unless there is an intact male around to stir up pheromones, but even that odor will dissipate when the male has left the premises. Otherwise, they are generally tidy and sweet-smelling. If all those factors aren’t enough, here comes the trump card: Goats are a lot of fun. They have delightful personalities. They are charming and personable and make outstanding pets. They enjoy attention, are amiable and clever, and easy to train. One word of caution about goats is that it’s not advisable to get just one. They are social animals and require the companionship of at least one other. That said, you may not be able to stop at just one, or even two. 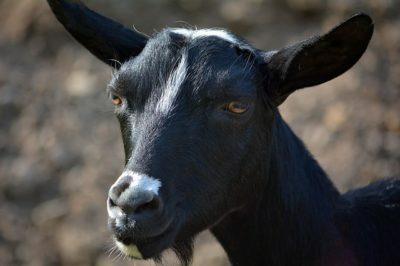 Goats are such amazing animals, so useful and rewarding and entertaining to be around, that you will probably have trouble holding back from getting another, and another, and then still more. Whatever your reason for considering goats, be it for dairy, meat, landscaping, packing or companionship, I hope you agree that they are a terrific choice as a homestead animal. Raise them, keep them, and love them, and goats will bring you joy for years to come.